’t much in the way of a get-together. 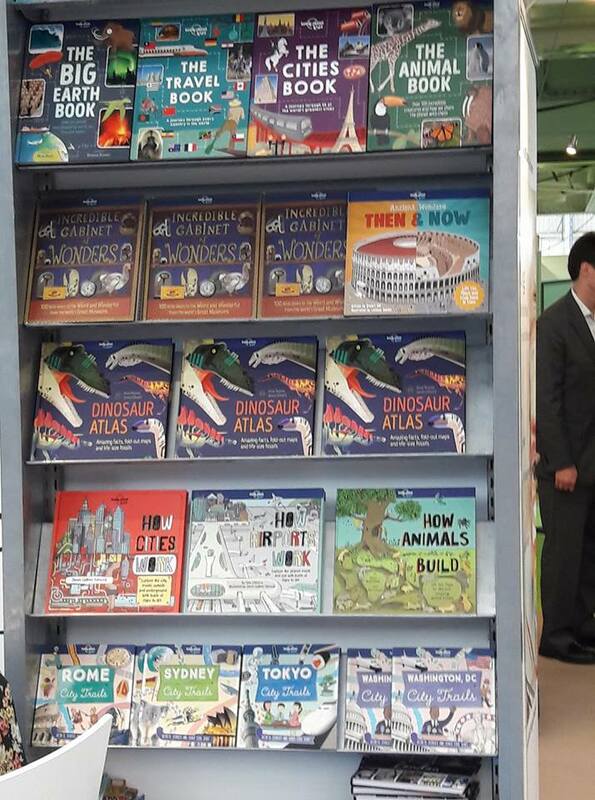 Reports are that several of us enjoyed meeting old colleagues and picking up work from them and from publishers they hadn’t worked for before. So, all in all, successful for our members. 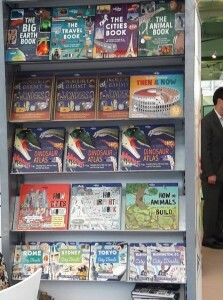 Anne Rooney’s Dinosaur Atlas took pride of place the Lonely Planet stand, along with Moira Butterfield’s City Trails.